I passed this man out burning leaves and it got me to thinking. Wouldn’t it be cool if people could help each other out. 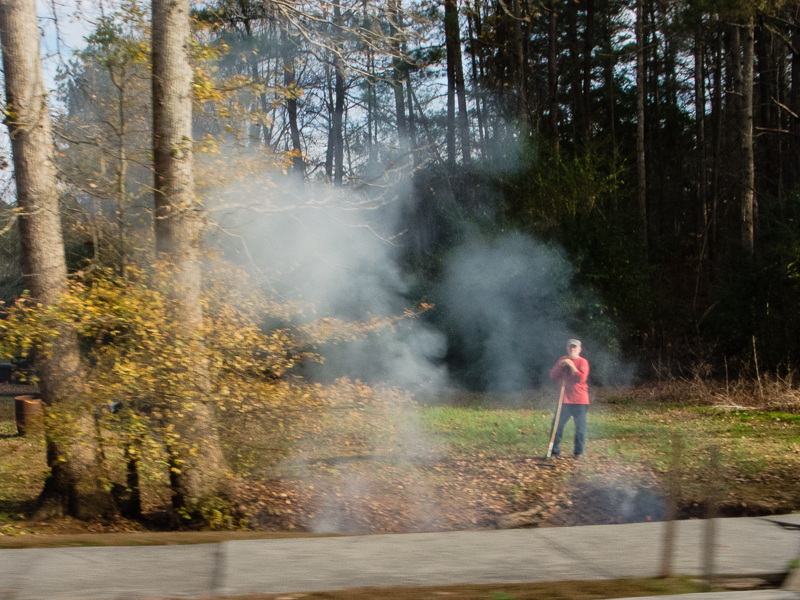 I know you’re thinking what in the heck are you talk about, it’s a guy burning leaves. Well there are people that pay for leaves and pine straw to put in the flower beds while others burn the extras they have. I guess it boils down to who wants to do the work.